Please note: We are unable to send the 600mm length version by airmail as it exceeds the max. length allowed. 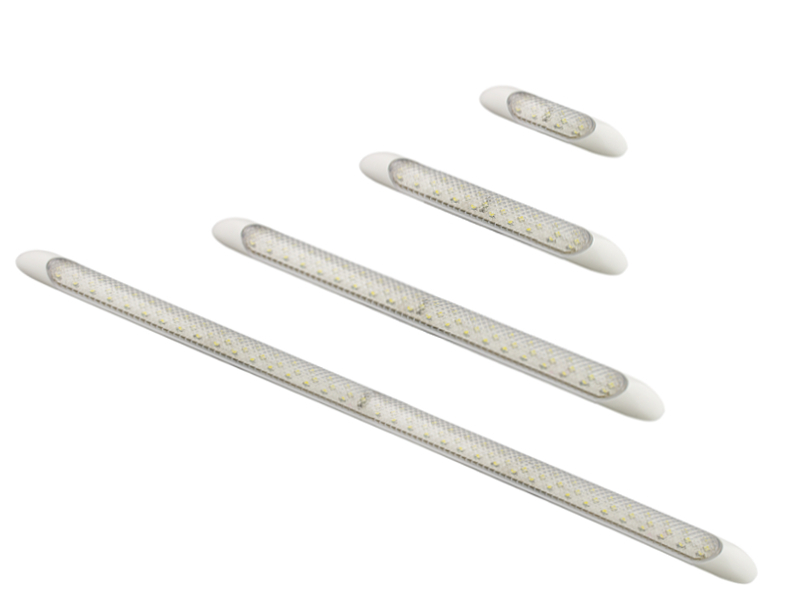 These slimline, low profile interior strip lights from LED Autolamps utilise state-of-the-art surface mounted LEDs to provide advanced optical performance and are perfect for lighting applications in motorhomes, vans, campervans, caravans, 4x4s, trailers, commercial vehicles and boats. 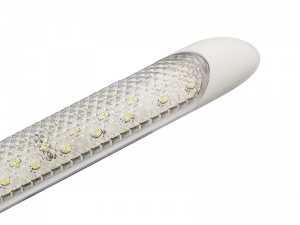 The light output simulates that of a fluorescent tube and at only 25mm wide and 10mm deep they are very discrete and will blend in well with any interior. They are ideal as a replacement for existing incandescent lighting or for new fit-outs as the extremely low current draw helps minimise battery drain. The end caps can be removed to access the screw holes and the unit comes complete with flying leads. This strip light is available in 100mm, 150mm, 300mm and 600mm lengths with a clear lens and white end caps. 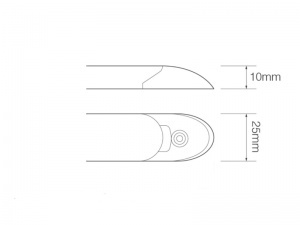 Replacement end caps are available if you wish to change to chrome. I bought these and I was totally satisfied with them. I used them to light up my garden shed with a car battery. Does the job just fine. Sorry to hear about the issue with your light. We would recommend that you first check your battery voltage is sufficient. If it's OK then please contact us so we can arrange to get your light replaced. Thanks. easy to fit .quality product. A good item but a little delicate to mount. The light it produces is even but is a cold light with resulting colour rendering issues.